Alaska's Native people are divided into three ethnic groups, eleven distinct cultures, speak twenty different languages, live in five geographical locations in Alaska, in 200 villages and communities, and make up nearly 20% of the total population of Alaska. There are three types of Alaskan Natives with different cultural and linquistic history. They are Indian, Eskimo and Aleut.The terms �Inuit� and �Native American� are sometimes used in place of �Eskimo� and �Indian� in an effort to be politically correct, but in Alaska, Eskimo and Indian are not generally considered derogatory terms. The term "Alaskan natives" came into use with the passage of the Alaska Native Claims Settlement Act of 1971, but the term "alaskan native culture includes all three ethnic groupings. Aleut homelands include the Aleutian Islands, the Pribilof Islands, the Shumagin Islands, and the far western part of the Alaska Peninsula. The natural marine environment defines subsistence lifestyles and cultures that date back more than 8,000 years ago. The Aleuts and the Alutiiq differ in language and culture but a commonality was created from the first contact with the Russians in the 18th century that is evident today. Aleut comes from the russian word Aleuty. The Aleut are expert boat builders and sailors and are well known for their kayaks. They are also known for their very fine baskets. The Aleut language, Unangax, also derives from the Esk-Aleut family. Alutiiq Eskimos, also referred to as Kana, are related to the Yupik, but are geographically located near the Aleut native villages. They call themselves Sugpiat, meaning "the real people" (the singular, Sugpiaq, meaning "a real person"). During the historic era, Russian traders called all of the Native peoples of southwestern Alaska �Aleut� � despite regional differences in language, cultural practices, and histories. In the modern era, this has caused confusion. "Sugpiaq" is the traditional name of the Native people of Prince William Sound, the outer Kenai Peninsula, the Kodiak Archipelago and the Alaska Peninsula. It is the way the Native people described themselves prior to Western contact. �Alutiiq� is the way Sugpiaq people say Aleut. It is the Native way of pronouncing the Russian-introduced word in their own language. Alutiit is the plural form. Alutiiq is a popular self-designator in the Kodiak region. The Athabascan people traditionally lived along five Alaskan rivers: the Yukon, the Tanana, the Susitna, the Kuskokwim, and the Copper River. This area, known as the "Interior" of Alaska, runs from south of the Brooks Mountain Range down to the Kenai Peninsula. The Athabascan people call themselves �Dena,� or �the people.� They speak eleven different languages. Traditional nomadic hunting groups are part of a kin-based network in which they are expected to follow traditional customs for sharing in the community. A hunting group is usually comprised of 20-40 people from two families. Often the core of this traditional group was a woman and her brother. The brother and his sister's husband often became hunting partners for life. Sometimes these hunting partnerships started when a couple married. In traditional families, the mother's brother takes social responsibility for training and socializing his sister's children so that the children grow up knowing their clan history and customs. The Athabascans have a matrilineal system in which children belong to the mother's clan, with the exception of the Holikachuk and the Deg Hit'an. The southwest Alaska Natives are named after the two main dialects of the Yup'ik language, known as Yup'ik and Cup'ik. The Cup'ik (pronounced "Choopik") are Nuniwarmiut people or Cup'ik Eskimos. The people of Hooper Bay and Chevak call themselves Cup'ik (plural Cup'it). They are speakers of the Hooper Bay-Chevak dialect. The Cup�ik still depend upon subsistence fishing, hunting and gathering for food. The Cu'pik region is treeless tundra that borders the Bering Sea. Cup�ik are hunters of moose, caribou, whale, walrus, seal and sea lions and harvest salmon and other fish from the Yukon, Kuskokwim and Nushagak rivers. Bird eggs, berries and roots help sustain people throughout the region. The Eyak Indians are the smallest native group in Alaska. Their traditional village on the Copper River highway on the Malaspina Coastal Plain was absorbed into the town of Cordova, Alaska in 1906, when their numbers had dwindled to only about 60 Eyak remaining. Today there are about 170 Eyak people remaining, and only one can speak the traditional Eyak language fluently. Eyak is a nearly extinct Na-Den� language that is a sub-branch to the Athabascan language in the Athabascan-Eyak-Tlingit language family. The Eyak had an exogamous (meaning they married outside of their own group), matrilineal clan system, which means that the children trace their lineage and names from their mother and also inherited the use of the clan fishing, hunting and gathering land from the mother. The Eyak clan system is divided into two moieties, the Raven and the Eagle. Traditionally, clans owned the salmon streams, halibut banks, berry patches, land for hunting, intertidal regions, and egg harvesting areas. As long as the area was used by the clan, they owned the area. The food was seasonal and therefore had to be preserved for the winter months and for early spring. The food was preserved by smoking in smokehouses or was dried, either by wind or sun. These subsistence patterns are still a crucial part of Southeast Alaska Native people�s cultural identity. The Haida were neighbors of the Eyak, Tlingit, and Tsimshian, and these four tribes often intermarried and their clan systems had counterparts in the other surrounding tribes. The Haida have two moieties, the Eagle and Raven, and also have many clans under each moiety. Like the Eyak, they have an exogamous matrilineal clan system. Each of these tribal groups spoke a different language not understood by the others. The Haida people speak Haida, an isolate language, (not related to any other language group), with three dialects: Skidegate and Masset in British Columbia, Canada and the Kaigani dialect of Alaska. The original homeland of the Haida people is the Queen Charlotte Islands in British Columbia, Canada. Prior to contact with Europeans, a group migrated north to the Prince of Wales Island area within Alaska. This group is known as the �Kaigani� or Alaska Haidas. Today, the Kaigani Haida live mainly in two villages, Kasaan and the consolidated village of Hydaburg. The Haida are master canoe makers, constructing their canoes from cedar logs up to 60 feet in length. The territory of the Inupiaq Eskimos includes: the North Slope Borough (NSB) consisting of seven villages, served by the Arctic Slope Regional Corporation, the Northwest Arctic Borough consisting of eleven villages and the Bering Straits Regional Corporation, which includes 16 villages. Barrow Alaska, the most northern U.S. city, is located within the NSB territory and is situated 700 miles north of Fairbanks and approximately 1000 miles below the north pole. Preceding early European impact Inupiaq communities extended from the Norton Sound, south to the Canadian border. Numerous district dialects of Inupiaq were associated with a particular territory or community. Though each spoke Inupiaq, regional differences were distinct enough to distinguish a person's home district. The Inupiaq language consists of Inuit-Inupiaq families of polysynthetic languages spoken from Siberia [Yup'ik] to Greenland [Inupiaq]. For Inupiaq People language is very important to Inupiaq culture and traditions. The languages of the Inuit peoples constitute a subfamily of the Eskimo Aleut language family. 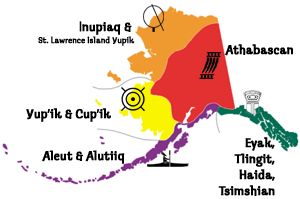 A major linguistic division occurs in Alaska, according to whether the speakers call themselves Inuit (singular, Inuk, as in Inupiaq) or Yuit (singular, Yuk, as in Yup'ik). The eastern branch of the subfamily generally called Inupiaq in Alaska but also Inuktitut (meaning "like an inuk") in Canada and Kalaallisut (Kaladtlisut, meaning "like an kalaaliq") in Greenland stretches from eastern Alaska across Canada and through northern into southern Greenland. It consists of many dialects, each understandable to speakers of neighboring dialects, including speaker of distant dialects found in Greenland [Inupiaq] or Russia [Yup'ik]. Because these languages are among the most complex and difficult in the world, few explorers or traders ever learned them. Instead, they relied on a jargon composed of Danish, Spanish, Hawaiian, and Inupiaq or Yup'ik words. Tribal, village, clan and family affiliations are important to all Inupiaq Native peoples. Many Inupiaq people introduce themselves, naming their parents and village. Subsistence hunting and traditional uses of wild foods such as moose, caribou, whale, duck, fish, and other wildlife continue to provide substantial portions of the Inupiaq diet. Today, food is still shared by all Inupiaq. When a whale is hunted in Barrow AK, whether an Inupiaq is in Anchorage or Seattle, the person will "taste" some of that whale. St. Lawrence Island lies in the Bering Sea, 164 miles west of Nome. It is closer to Siberia in Russia, (just 38 miles away) than it is to Alaska. Savoonga on the northern coast and Gambell on the northwest cape contain the island�s Yupik population with 695 residing in Savoonga and 660 in Gambell. St. Lawrence Island has been inhabited intermittently for the past 2,000 year by Yup�ik Eskimos. The isolation of the island has helped to maintain traditional St. Lawrence Island Yupik culture, their language and their subsistence lifestyle based upon marine mammals. Most residents are bilingual with Siberian Yupik still the first language. The economy is largely based on subsistence harvests from the sea including seal, walrus, fish and bowhead and gray whales. Walrus-hide boats are still used to hunt. Gambell holds a whaling festival each spring when a whale is taken. Savoonga is hailed as the �Walrus Capital of the World� and a Walrus Festival is help each spring. St. Lawrence Island Yupik are famous for their ivory carvings. The St. Lawrence Island Yupik Eskimos and their Russian cousins also practice a form of whistling for communication over long distances. The whistling language contains full Yupik words and sentences, and even English words, although it is said English is harder to whistle. Listen to a whistling communication sample. In the Tlingit clan system, which was an exogamous matrilineal clan system, one moiety was known as Raven or Crow, the other moiety as Eagle or Wolf, depending upon the time period. Each moiety contained many clans. Traditionally, clans owned the salmon streams, halibut banks, berry patches, land for hunting, intertidal regions, and egg harvesting areas. As long as the area was used by the clan, they owned the area. Traditional Tlingit territory in Alaska includes the Southeast panhandle between Icy Bay in the north to the Dixon Entrance in the south. Tlingit people have also occupied the area to the east inside the Canadian border. 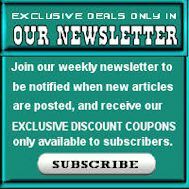 This group is known as the �Inland Tlingit�. Southeast Alaska�s environment is a temperate rain forest. This environment produces many tall and massive trees. Wood was the most important commodity for the people of this region. Communal houses, totem poles, daily utensils, storage and cooking boxes, transportation, ceremonial objects, and clothing were all made of wood and wood products, especially cedar and spruce. No central Tlingit government existed. Decisions were made at the clan, village or house level, affecting only clan members of an individual village or house. The southern Tlingit had tall totem poles in the front of their houses. The Northern Tlingit houses had fewer and shorter frontal totem poles. The Tlingit language has four main dialects: Northern, Southern, Inland and Gulf Coast with variations in accent from each village. The Tsimshian have a complex social system consisting of phratries and clans. Phratries are similar to moieties, except they have four divisions instead of two. There are four crests: Killerwhale (Blackfish), Wolf, Raven and Eagle. However Fireweed, Wolf, Raven and Eagle are the Gitksan�s phratry names. The Tsimshian Killerwhale and Wolf are one side and their opposite side are the Eagle and Raven. However, the Gitksan have Fireweed and Wolf as their opposites to Eagle and Raven. Like the Eyak, Tlingit and Haida, they have an exogamous matrilineal clan system. The Tsimshian people speak another isolate language, Sm�algyax, which has four main dialects: Coast Tsimshian, Southern Tsimshian, Nisga�a, and Gitksan. Society was also divided by high-ranking individuals/families, commoners and slaves. Unlike present day marriages, weddings were arranged by family members. Slaves were usually captives from war raids on other villages. Community status could be elevated by hosting a potlatch. The original homeland of the Tsimshian is between the Nass and Skeena Rivers in British Columbia, Canada, though at contact in Southeast Alaska�s Portland Canal area, there were villages at Hyder and Halibut Bay. Presently in Alaska, the Tsimshian live mainly on Annette Island, in (New) Metlakatla, Alaska in addition to settlements in Canada. The Yup'ik believe that no one ever truly dies, but that their soul is part of a cycle in which it is reborn in another generation. Children are named after the last person in the community to have passed away, whether that name is a boy or girl name. Alutiiq (Sugpiaq) is a Pacific Gulf variety of Yupik Eskimo spoken in two dialects from the Alaska Peninsula to Prince William Sound, including Kodiak Island. Central Alaskan Yup'ik lies geographically and linguistically between Alutiiq and Siberian Yupik. The use of the apostrophe in Central Alaskan Yup'ik, as opposed to Siberian Yupik, denotes a long p.
Naukanski Yupik is spoken in East Cape, the northeastern most point of the Russian Far East. Siberian Yupik is spoken in the two St. Lawrence Island villages of Gambell and Savoonga. The language of St. Lawrence Island is nearly identical to the language spoken across the Bering Strait on the tip of the Siberian Chukchi Peninsula. The total Siberian Yupik population in Alaska is about 1,100, and of that number about 1,050 speak the language. Some linguists also include the now-extinct Sirenikski language once spoken as a Yupik language, although others see it as the only documented remnant of a third, separate branch of Eskimo. Through a confusion among Russian explorers in the 1800s, the Yupik people bordering the territory of the unrelated Aleuts were erroneously called Aleuts, or Alutiiq, in Yupik. This term has remained in use to the present day, along with another term, Sugpiaq, which both refer to the Yupik of Southcentral Alaska and Kodiak. Are Eskimos and Inuit the same people? I answered a letter a while ago, from someone at a museum in Alaska. They wanted to know why Inuit (which I am of) dislike being called "Eskimos." After all, many Alaskans don't mind being called Eskimos, and even seem to dislike the term "Inuit" when southerners apply it them, however well-intentioned. I am not surprised by the confusion. There are three types of Alaskan Natives with different cultural and linquistic history. They are Indian, Eskimo and Aleut. These are further defined by eleven distinct cultures. Eskimo is the term used when speaking of Inupiaq and Yupik people collectively or to mean all Inuit and Yupik people of the world. Did you know Aleuts were sent to internment camps during WWII? Long-silent Aleuts revisit the suffering of World War II internment camps in a new documentary film set to air on Public Television this month. Akhiok is located at the southern end of Kodiak Island at Alitak Bay. It lies 80 miles southwest of the City of Kodiak, and 340 miles southwest of Anchorage. Our way of life is to respect the mother earth and it's animals. Several thousand years ago, before European explorers discovered the shores of the Aleutian Islands, they were inhabited by the �Unangas� (Aleut people).